Close to Dumfoundling Bay and Veterans Park is Peninsula in Aventura, a 31 story building and one of two buildings called Peninsula. It has 142 Aventura condos for sale that offer a serene living experience along with views that are just as tranquil and delightful. For athletically skewed activities, Peninsula's lighted tennis courts provide another option along with the fitness center and the jogging trail. The card and billiard room provide a great way for Peninsula residents to socialize and relax, assuming you aren't taking your dog for a leisurely stroll since Peninsula is pet friendly. 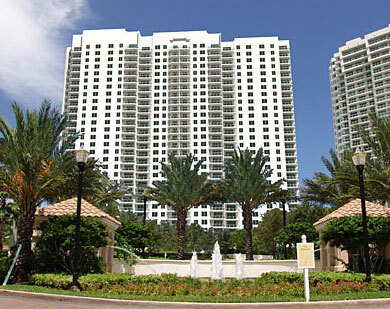 The units of Peninsula have 2,970 to 3,620 square feet of living area. Peninsula is near Aventura Mall, one of the largest shopping centers in South Florida and home to the Cheesecake Factory plus an IMAX movie theater. Beachgoers can visit Sunny Isles Beach, Hallandale Beach, Hollywood or Miami Beach and Bal Harbour to the south to enjoy sunbathing activities.